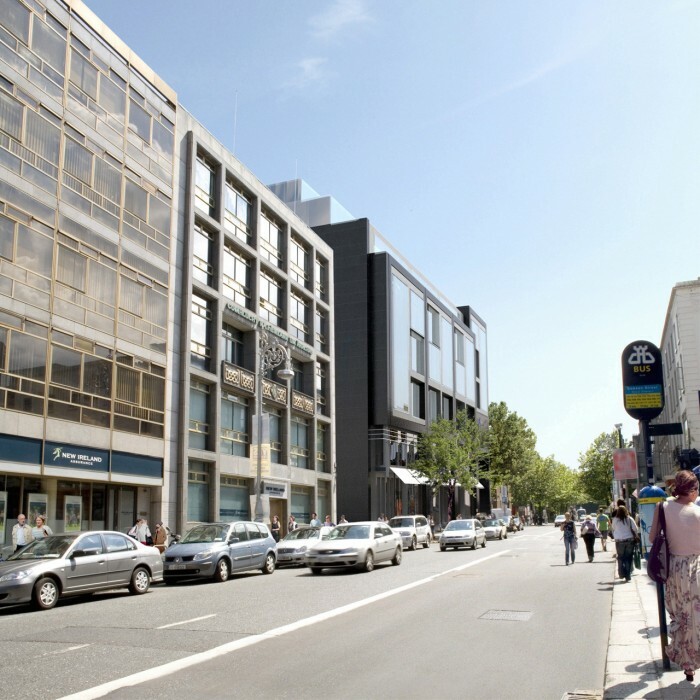 The site lies within an existing urban fabric of 5 to 6 storey blocks surrounding a network of internal courtyards and organic pathways which filter pedestrians through the city from transport networks to the office, to shopping districts and the major thoroughfares of Grafton St, Nassau St. and St. Stephens Green. The surrounding courtyards also conceal a network of underground car parks from which the public emerge to access the city. The site sits in a very prominent location within this urban network. A significant inspiration for the scheme was the “Ginza” district in Tokyo. This world renowned shopping district was once synonymous with luxury, glitz and gold which in recent years have given way to more modern materials such as glass, platinum and silver. Major high end retailers commission “brand buildings” in the “Ginza” including Louis Vutton, Prada, Hermes, Chanel, Dior. Other brands such as Apple, Zara, Coach, Burberry, Nissan, BMW and Sony also have stores in the “Ginza”. 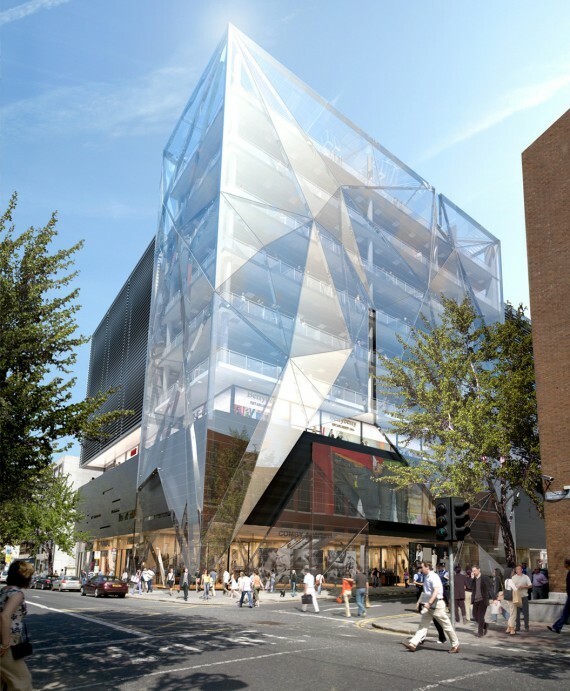 Using this district as inspiration the scheme has been designed to give the appearance of a number of individual vertical elements varying in height and façade treatment while maintaining a very flexible floor plate which can be adjusted to connect on many levels as required. 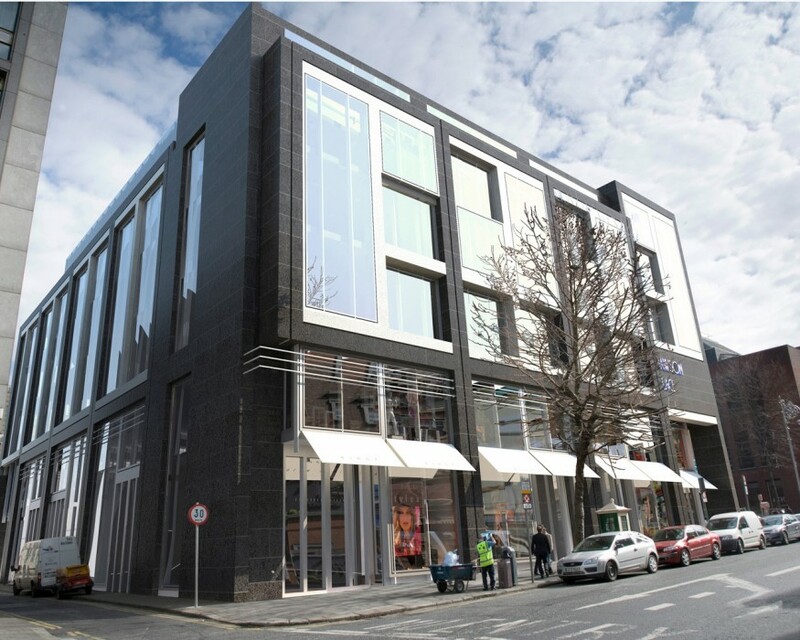 The Dawson St. frontage has been identified as a location where vertical circulation could be used as an opportunity to enhance and enliven the shopping experience. 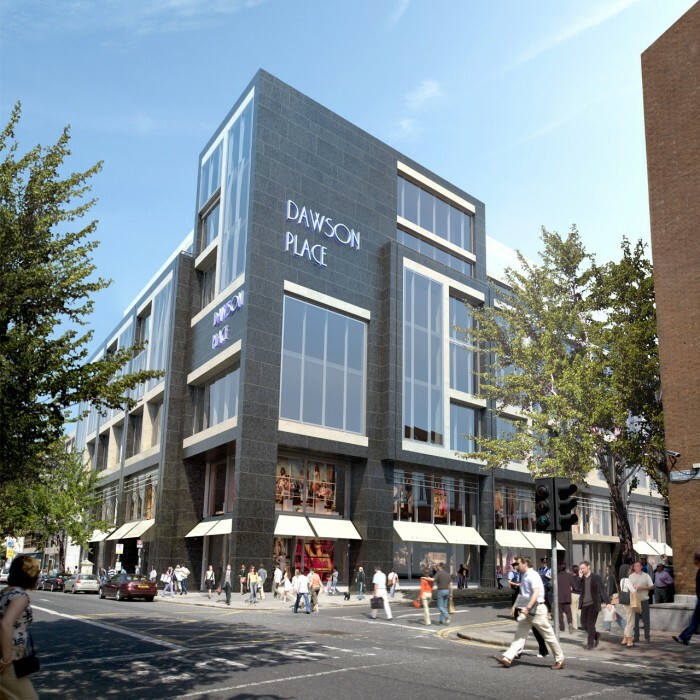 The buildings facing onto Dawson St. could be designed to accommodate high end retail opportunities. 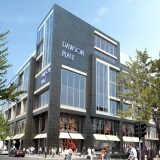 In recent years the “Ginza” has seen a revival of high end retailers and “brand Building”. London’s Regent Street, which like the Ginza has a world wide reputation for elegant shopping is also seeing a strong revival. Soho in New York is another district which is renowned for its stand alone “brand buildings”. 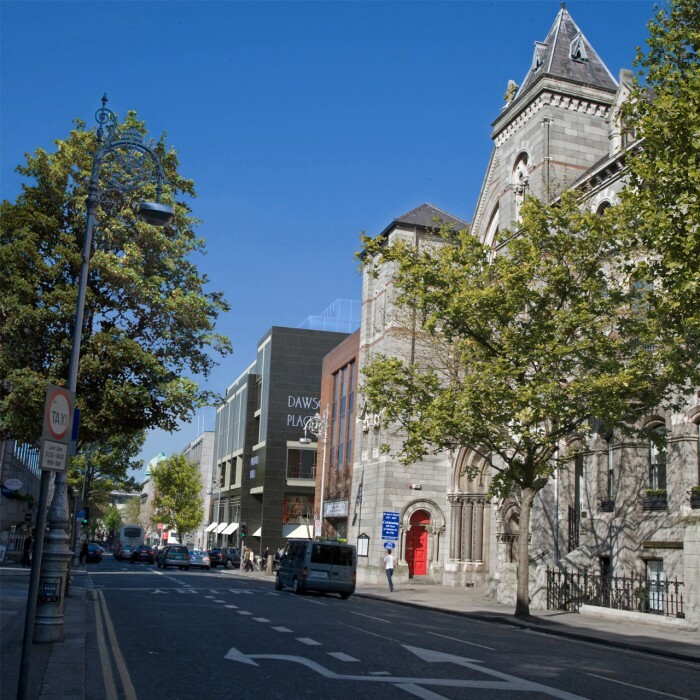 Perhaps Dawson St. could be the first Irish district to claim the title.